Genevieve L. Dresch, daughter of George and Elizabeth (O'Brien) Gordon, was born July 11, 1911 in Montrose, South Dakota. She lived in Montrose until she went to Columbia College where she obtained her teaching degree. She was united in marriage to Harvey N. Dresch in December 1939. The couple made their home in Sioux Falls where Genevieve was an elementary school teacher for more than 30 years. After Genevieve retired, she enjoyed traveling and spent the winters in Arizona. 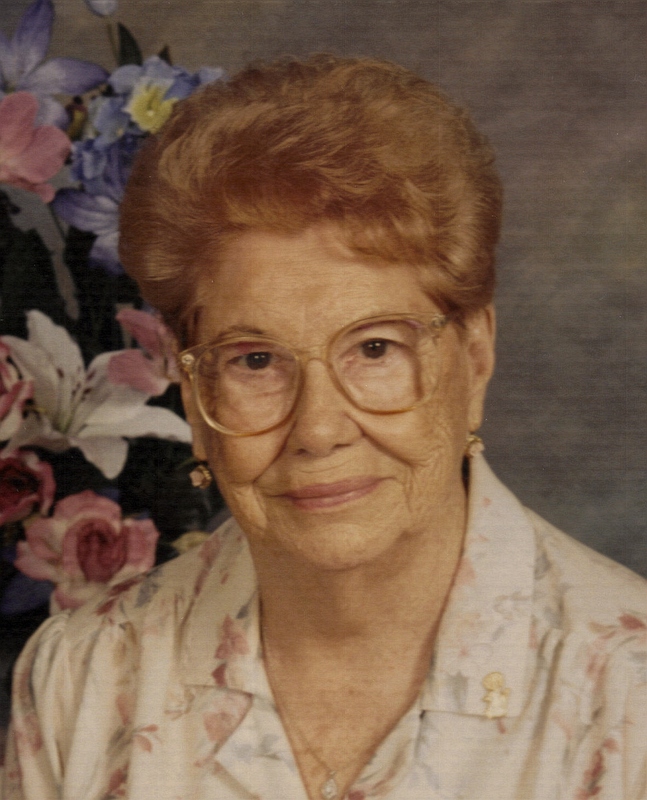 Genevieve was a resident of Avera Prince of Peace since 2000. She passed away on Sunday, February 21st, 2010. Genevieve is survived by her children: Prue Cameron (Bob), Butte, Montana, Jeff Dresch (Kim) Hardin, Montana and Rory Dresch, Sioux Falls, South Dakota; and her sisters Mary McGrail, Simi Valley, California, Regina Davis, Butte, Montana and Eleanor Coleman, Mobile, Alabama. Also surviving are 7 grandchildren, 10 great-grandchildren and 3 great-great grandchildren, and a number of relatives and friends. She was preceded in death by her parents, her husband Harvey and three brothers Joe Gordon, Bill Gordon and Bud Gordon. The family will be present from 6:00 PM to 9:00 PM on Thursday, February 25th at Barnett-Lewis Funeral Home with a Scripture Vigil starting at 7:00 PM. Mass of Christian Burial is scheduled for Friday, February 26th at 10:00 AM at St. Joseph Cathedral Church in Sioux Falls. Burial will be at St. Michael Cemetery. The family has requested that memorials go to the Sioux Falls Catholic Schools.